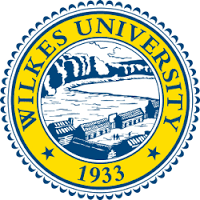 The achievement was revealed in the periodical’s first-ever college rankings and reflects well on Wilkes for its investment value. Evaluation is based on theoretical comparisons of undergraduate alumni earnings with projected income if they had studied elsewhere. The Economist’s analysis worked with median salary figures predicted for a date 10 years after matriculating. While other alumni of the 1,275 schools in the study netted approximately $41,650, research demonstrated that Wilkes graduates earned an average of $8,250 more than their peers, or $49,000—representing a high return on investment. Wilkes also measured favorably in areas such as diverse in-demand study fields—such as pharmacy, business and engineering—and resources for disadvantaged or first-generation college students. More than 30 percent of Wilkes undergraduates are eligible to receive Pell Grants, and data indicates that 95 percent of graduating seniors find work or enter graduate school within a year of graduation. Wilkes University strives to be a “great small university” with a focus on mentoring in an intimate environment at a competitive cost. Want to get notified whenever we write about Mesa Chamber of Commerce ? Sign-up Next time we write about Mesa Chamber of Commerce, we'll email you a link to the story. You may edit your settings or unsubscribe at any time.